Distinctive Deck Design Blog | News about custom Decks, Pavers, and More! Warmer weather is finally here, which makes it a great time to get outside and enjoy a new gazebo, deck or outdoor living design! Covered outdoor living spaces are among our most popular installations – and with good reason. If you want shade as well as protection from bugs, wind and other elements while still being able to enjoy the great outdoors, then a screened gazebo or covered patio is probably right for you. Northern Virginia’s beautiful climate allows for comfortable outdoor living and recreation in the spring and summer months. Take advantage of it with custom shade options for your backyard space! We offer customization at every level of the construction process of your covered outdoor living space. As you consider your unique space, think about different elements you might want to complement it, such as a deck railing, different under-ceiling materials and finishes or different colored products. At Distinctive Deck Designs, our skilled construction team can create a covered outdoor living space made to your specifications. As a Trex Pro Platinum builder and Best of Houzz winner, Mark Shriner and the Distinctive Deck Design team are recognized as experts in constructing all manner of cabanas, gazebos and screened porches. Once you decide that a covered outdoor living space is right for you we will make a professional assessment of your space. No matter how simple or complex, we will make sure you get the outdoor space that is right for you. In fact, we specialize in creating multi-level designs that allow for different activities in different areas. For example, we could install a covered space for dining and a different patio space you can enjoy while the kids run and play in the backyard. In addition to your gazebo or covered deck, our team can install customized outdoor lighting to enhance your space. Landscape lighting can help to highlight certain planting beds or trees while path lights will ensure a safe walkway for guests. Deck and patio lights will allow you to keep the party going or enjoy a quiet night with the family long after the sun sets. Our team can even create an outdoor fireplace that complements your new covered gazebo, patio or composite deck design. Each new element that we construct for your adds enjoyment for you and your family and increases the value of your home by adding living space. A covered outdoor area adds functional space that can be used throughout the seasons and appeals to nearly everyone who wants to enjoy the outdoors with a little more comfort. This entry was posted in Covered Porches and Living Areas and tagged composite deck design, covered deck, covered patio design on April 16, 2019 by admin. A front porch is an inviting area to sit and welcome friends and neighbors. At Distinctive Deck Designs, we are experts in custom front porchesas well as screened-in porch design. We set the standard for contractors throughout Northern Virginia by virtue of the excellent work we do and the impeccable level of customer service we bring to each project. Sitting out front in a comfortable chair, sipping a long, cool drink sounds pretty good to us. Having a well-appointed front porch is also an excellent way to boost curb appeal and show off your personal style. Let us help with our suggestions to make your porch the talk of the town! If you want to highlight the warm and welcoming aesthetic of your home, a cozy place to sit is essential. There are several fun and unique options to choose from. A rocking chair is classic, especially when it’s accented with a bench. If you have more space to work with, then you can try arranging your seating around an outdoor rug to create a truly inviting and intimate space. There are so many styles of porch swings to accommodate every space. Something about a porch swing beckons you to just sit a spell! Stay traditional with a wooden swing or go elegantly modern with a bed-style swing. Outdoor-friendly cushions and pillows add coziness and can be easily switched to suit your current style or the season. Spring is the perfect season to add plants to your front porch. Traditional planter boxes offer a visual treat. Try potted plants of various heights and colors to create a visually attractive vignette. Your garden bed plantings should complement your front porch design. Here in Northern Virginia, flowering dogwood trees that bloom with gorgeous white flowers grow exceptionally well. Virginia bluebells will add color and height to your front porch plantings as well. Try hanging plants as well to help create a classic look. Don’t forget our custom under-deck ceiling designs as well as built-in heaters that will make the space just right for your needs. Be sure to also complete your outdoor living space with a custom walkway that will beckon guests to your front porch area. Choose from flagstone, slate, brick or stone building materials. We build our walkways to effortlessly weave around existing natural elements and to create an entrance unique to your home. Contact us today for your free design consultation! This entry was posted in Covered Porches and Living Areas and tagged front porch, porch design, screened porches on April 12, 2019 by admin. At Distinctive Deck Designs, we only work with the best quality products when designing your custom paver patios and walkways in the Fairfax area. 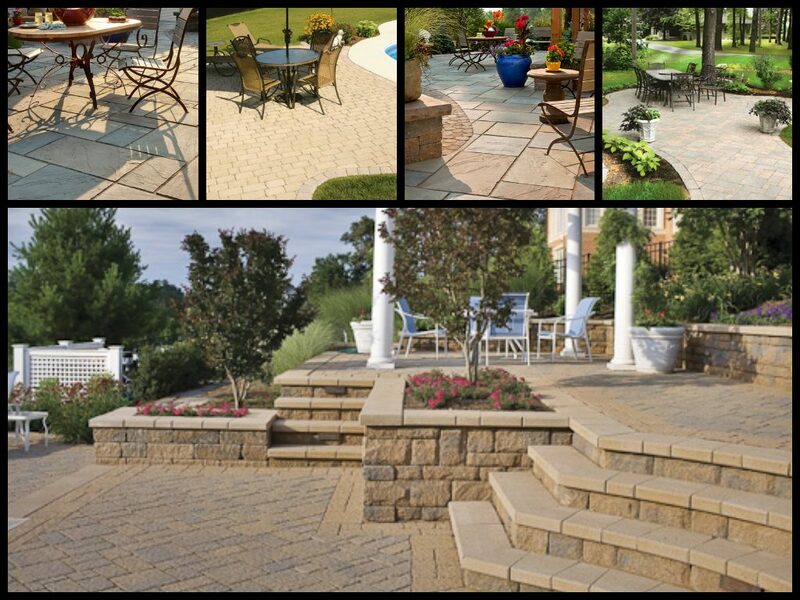 We are proud to work with Techo-Bloc, an industry leader in landscaping product supplies. Hardscaping is our specialty and with our in-house masonry team, you can rest assured that your project is in excellent hands from start to finish. Our owner, Mark Shriner, will personally design custom hardscape elements for your home, from patios to fire pits and retaining walls. We can even design and build outdoor staircases using pavers and multi-level architectural elements, such as planter boxes, to give more visual interest to your landscape design. You will be able to enlarge the space of your home with clearly defined outdoor living spaces that go beyond composite decking. Our pavers seamlessly integrate and complement your existing deck, pool and natural landscaping. Fireplaces and firepits are essential to integrate into your landscape design. Give your friends and family an area to get cozy and warm without ever leaving home. Our customized fire elements will create aunique and functional focal point for your backyard. No matter which features you would like in your design, we pride ourselves on customer service and will do our best to bring your design dreams to life! Whether your style is sleek and modern or classically traditional, we can create a look for you. All our products and installation techniques are specifically designed to ensure durability and longevity. 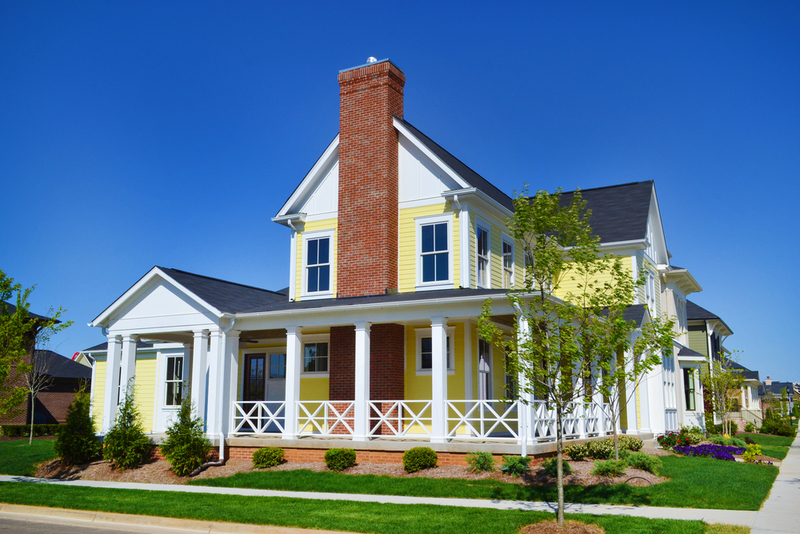 At Distinctive Deck Designs, we take the stress out of abiding by HOA guidelines. We will work with you to make sure our plans and designs will be approved by your HOA and donot violate their regulations. Many of our clients want to update and improve their existing patio designs. We are happy to integrate existing elements into your new design, as long as they are structurally sound. Our team can blend design elements to create a harmonious look to your outdoor living space. Distinctive Deck Designs, we are here to provide you with high quality servicesat reasonable prices. Our team will get the job done on time and will happilyanswer any questions you may have along the way. Northern Virginia is our home as well and we want your outdoor living areas to bring as much joy as possible to you and your family. Be sure to take a look on our website at our patio and pavers page as well as our fireplace and fire pits page to learn more. As always, we are proud to offer completely free consultations. Contact us today! This entry was posted in Patios and Pavers and tagged hardscaping, patio building, stone pavers on March 14, 2019 by admin. At Distinctive Deck Designs, we want to partner with you to not only design your dream custom deck or covered patio in the Fairfax area, but also to offer some of our favorite tips and tricks to enjoy the space you have created. 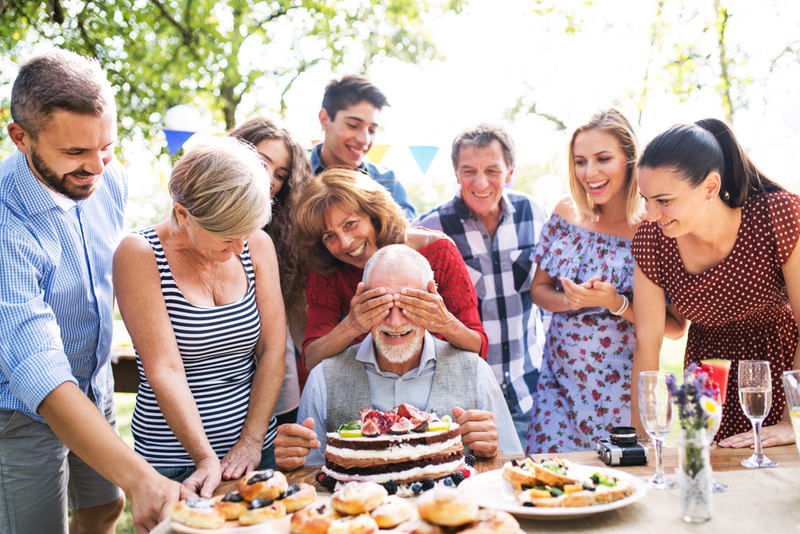 Now that it is finally starting to warm up and spring has sprung, it is time to prepare your outdoor space for barbeques, parties and even quiet nights with the family, eating dinner under the stars. Once you have your custom composite deck, covered patio and outdoor space completed, it is time to furnish your space for maximum enjoyment. Seating is very important to create a welcoming outdoor area for your guests. There are plenty of outdoor-friendly plush upholstered options. Try a chair that rocks or sways to encourage your guests to get comfortable. Put out throw pillows as well to bring a pop of color to the space. These are often reasonably priced and can be switched out each season to keep your patio looking chic. We also like outdoor rugs in bright colors and with fun patterns. This creates more of an outdoor room vibe. It defines the space and gives it a cozier feel. We offer several different outdoor lighting elements so you can even enjoy the outdoors after dark. We can highlight certain architectural aspects of your home with light or light up walkwaysthat allow guests to enjoy a moonlit stroll. You want the area to have the right amount of light for entertaining and to provide ambience for youroutdoor activities. Gazebos,cabanas, covered patios and screened porches not only offer protection from the elements but create privacy as well, so you will want to stay outside. DistinctiveDeck Designs will customize a covered outdoor area to suit your taste. Take alook at our photogallery to see what we can do. Try creating privacy with pottedplants or grow plants that will weave into your pergola to create shade.Outdoor draperies can be opened or closed whenever you like and bring your ownunique sense of personality to the space. When thinking about your outdoor living area, it is important to visualize how you want to use it. Will there be lots of parties or more intimate moments of relaxation? This will help you to determine where you placewhat and which objects you introduce to the space. 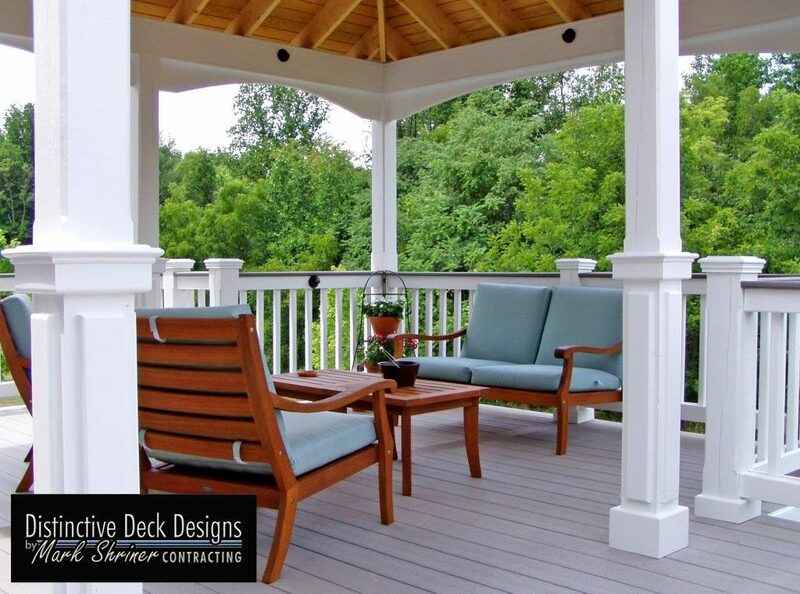 At Distinctive Deck Designs,we are here to help. Contact ustoday so we can get started and you can get to enjoying the great outdoors! This entry was posted in Advice and tagged covered patio design, outdoor living, outdoor living spaces on March 8, 2019 by admin. Copyright © 2009-2015 Distinctive Deck Designs. All Rights Reserved.